Farming at the Gill Tract in April. If the project’s name has a bit of a revolutionary bent, that’s probably no coincidence. Grefrath, a self-taught gardener who cut his urban-farming teeth in New Orleans’ Lower Ninth Ward as a volunteer during post-Hurricane Katrina relief efforts, was later one of the leaders of Occupy the Farm, an ongoing movement in which activists seized a plot of UC Berkeley-owned land in Albany called the Gill Tract and turned it into an urban farm. Day 3 of Oakland Spring Rising: a potential garden site near the Omni Oakland Commons. 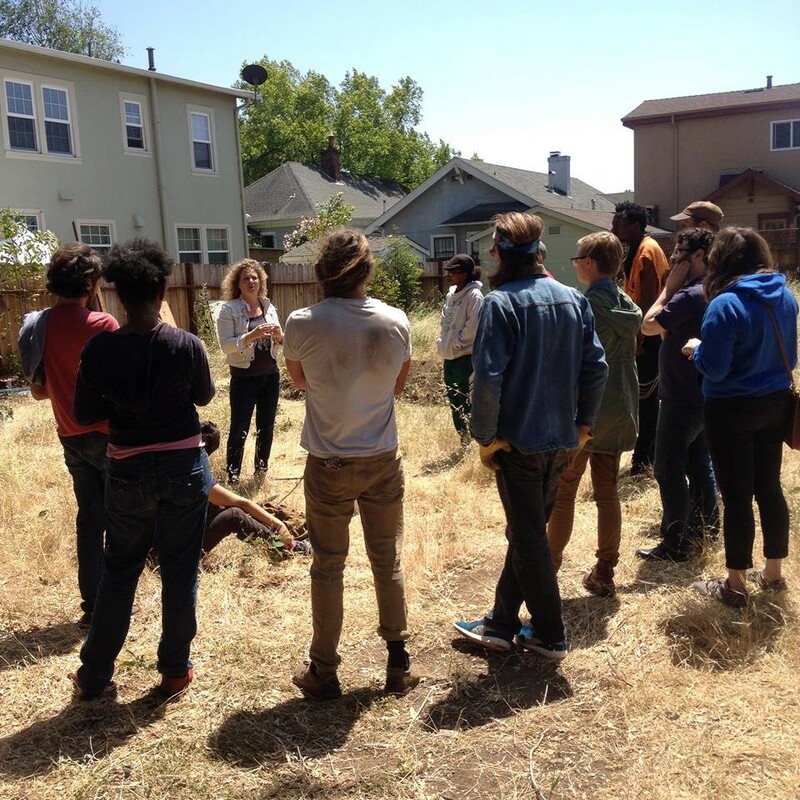 According to Grefrath, the goals of Oakland Spring Rising are manifold, with the issue of food security — and making sure that all of Oakland’s residents have access to healthy food — being first and foremost. There’s the added benefit of removing urban blight, too. Grefrath cited Afrika Town, a dilapidated West Oakland lot turned into an attractive urban garden, as one recent example. But Grefrath said that what will really set Oakland Spring Rising apart from other movements is its emphasis on soil remediation — on testing soil for toxicity, and then using plants, mushrooms, and beneficial bacteria to treat toxic soil. The goal would be to eventually return to growing food directly in the soil rather than only in raised beds — a more transformative project for the long-term future of urban farming in Oakland than “how do we grow a bunch of food,” Grefrath said. 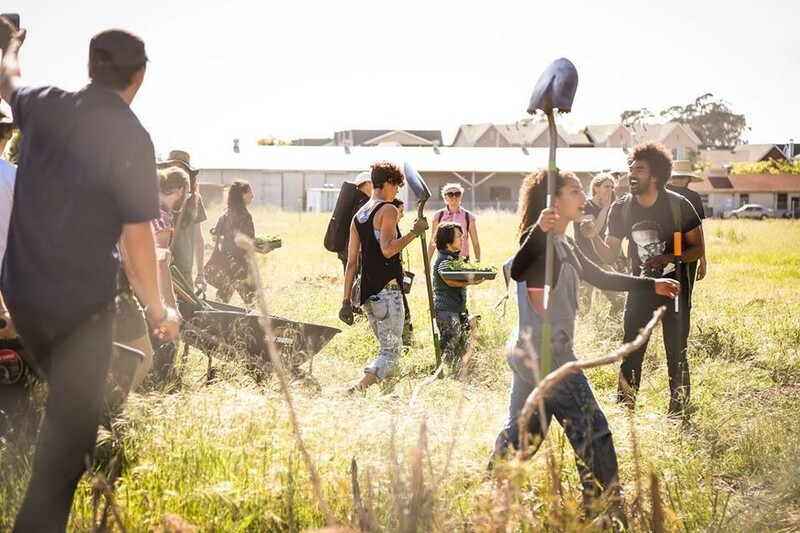 Since the initiative’s local reference points include Afrika Town and Occupy the Farm, for some observers, the proverbial elephant in the room will be whether Oakland Spring Rising will be rooted in confrontation and quasi-legal appropriation of privately owned land. Grefrath didn’t dismiss the possibility that Oakland Spring Rising might borrow some of those techniques — that volunteers might “occupy,” or essentially squat on, a blighted lot they hadn’t received explicit permission to use. Still, according to Grefrath, these kinds of confrontational techniques are a matter of last resort. He said he’d prefer to work with property owners who are enthusiastic about collaborating. Oakland Spring Rising’s official launch was on May 1. Recent projects included a work day last Saturday at the Oakland-Temescal public library branch, where volunteers lay the groundwork for a community garden that will eventually be planted and maintained by a youth group affiliated with the Oakland-based Phat Beets food justice organization. Check the project's Facebook page for updates on each day's itinerary — it looks like the next work day will be today, from 10 a.m. to 7 p.m., at the Park Community Garden (2805 Park Blvd.). There’s a crowdfunding component to the project, as well. But, as Grefrath noted, one of the nice things about the project is that it doesn’t require a lot of capital: For just $200, you can buy everything you need to grow about 10,000 plants.